The process of working with White Construction and Design begins with your vision. Some prefer to simply tell us how they like to live, and what types of spaces they prefer. Other people tell us about their interests in entertaining at home or being engrossed in hobbies, many provide sample photos of houses, and others look for inspiration through examples of our work. No matter the approach, the distinction of a White home is often the result of our unique ability to develop custom plans and improve on others easily. 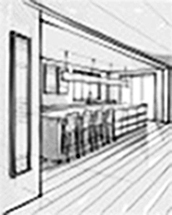 Owner Eddie White, trained as a mechanical engineer, brings a wealth of technical knowledge and architectural experience to the design process that allows clients the freedom to imagine their ideal home and have it brought to life through drawings quickly. A considerable strength for White Construction is our unique ability to provide accurate construction estimates very quickly to guide decision making and mitigate risks so that the building process can begin quickly and finish without complications. White Construction and Design publishes their new web site! Choosing a building contractor is a big decision. After interviews and hours of consternation, we decided on Eddie White and White Construction Company. We selected Eddie based on his ability to convert ambiguous ideas into the reality of a home. We inspected many of his prior home builds and talked too many of their owners. The quality and features of the homes and the owner satisfaction left us with confidence that we had made the right decision. Oh, our house turned out great!